Making its premiere performance at Melbourne Festival this October, GL and Dorsal Fins singer Ella Thompson gave Melbourne Recital Centre the inside view to the creative and collaborative conception of her latest performance piece, Like Running Water, made especially for the surrounds of Elisabeth Murdoch Hall. Melbourne Recital Centre [Melb Recital]: How did the concept of Like Running Water (LRW) come about? What are some of its influences, inspirations etc.? Ella Thompson [Ella]: I used to work casually at Melbourne Recital Centre behind the bar, one day I was taking out the bins or something in my apron and Kerstin (Melbourne Recital Centre’s Contemporary Program Manager) gave me her business card, said she'd like to talk about putting on a show at the venue. I was quite shocked, thought she had the wrong person. I had performed at the Centre previously with The Bamboos and Tim Rogers and knew just how amazing the room sounded. It was an opportunity that really felt too good to be true. I wanted to make a performance work that showcased the breadth of talent we have in Melbourne and Australia, the artists involved in Like Running Water are a constant source of inspiration for me, each pushing the boundaries in their respective fields. The focus was being able to collaborate, bringing together each artist's diverse skills into a single work. Recently I’d seen performances by Laura Mvula and Sarah Blasko in Elisabeth Murdoch Hall and was in complete awe. It has been such a great privilege to have the opportunity to make a performance with the space in mind from the very beginning; it’s played a huge part in the instrumentation and visual representation. I wanted to keep it quite minimal and let the sound of the space be heard. Singing and playing into the reverbs of the room. The concept of the work is the theme of water; it runs throughout the performance through ideas of mythology and soft power. [Melb Recital] When we stopped by your last rehearsal we noticed quite a bit of gear and different types of instruments in the room. How did you go about combining the worlds of electronic music with performers and sounds belonging to chamber and classical genres? [Ella] Combining traditional instruments in a contemporary context has always been something that interests me, the manipulation of sound and being able to explore different types of form. Most of my previous recorded work has fit in to a pop song structure, I wanted to try and deconstruct that form and look at new ways of writing. 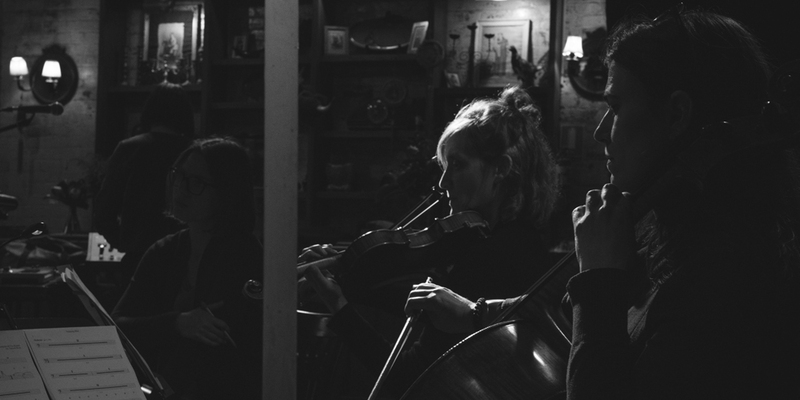 Working with strings and woodwind in this way has always been something I've wanted to do and I feel so lucky to have the opportunity to explore this with LRW. It is all an experiment. I am interested in the sonic relationship between voices, piano, strings, woodwind and synthesisers. I wanted to hear each part sing in the arrangement, single line instruments building harmony together and the piano creating its own orchestra. I grew up listening to soul music (Chess Records, Etta James, Minnie Riperton); the strings were always so dreamy and swept me away. Björk is forever inspiring me, the way she uses unique arrangements with her inimitable vocal style. I listen to impressionist composers like Debussy for the way they create mood - calm and chaos. For this work, we have also used some voice sampling inspired by Art Of Noise. [Melb Recital] So the structure of LRW, what can we expect to hear? [Ella] I want to portray the chaos and calm of water through the progression of the performance. There are movements where each artist has a feature starting from the organic and moving toward more electronic instrumentation. Exploring macro and micro forms within the music. 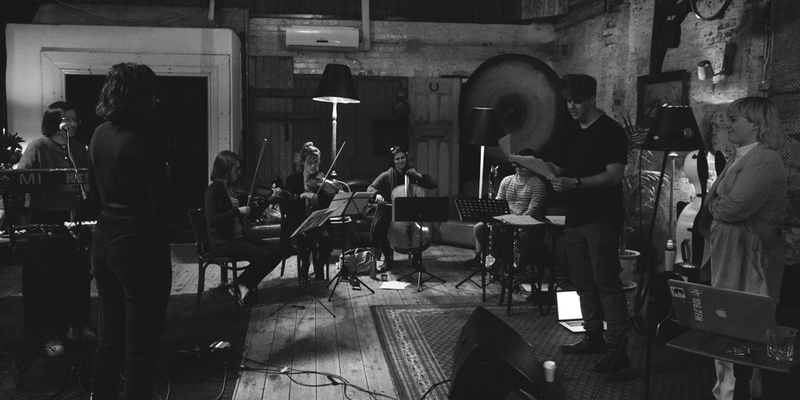 [Melb Recital] What’s the writing process been like for LRW? How has it compared to your other projects, like your solo album Janus or the recordings you’ve worked on as part of GL and Dorsal Fins? [Ella] The process has been a great growing experience. Pushing myself to look at what I do in new ways. There are no strict limitations so it has been interesting to respond to each other's ideas very openly. I have written some of the music by myself and composed some of the pieces with Clio Renner and Sui Zhen. I have been working towards recording my second solo album and this performance has been a great way to compose with that in mind. I am very excited for the next stage of my work. For a long time I wasn't sure what I wanted to say and how to say it, so with my solo work I thought it might be best to say nothing instead of filling the space before I was ready. [Melb Recital] And what about this collab? How did you go about pairing up with Sui Zhen, Clio Renner, Honey Long and Prue Stent? [Ella] Clio and I studied music together at the Victorian College of Arts (VCA) and we've been friends forever but never made music together until now, Sui Zhen I met through playing similar types of shows, we just hit it off! I had been admiring Prue Stent and Honey Long's work from a far and thought I would reach out to collaborate one day on the right project. Their [Prue and Honey] work explores the female form in new ways. So we’ve chosen imagery of bodies in a pool, representing our vulnerability in public spaces. Exploring those ideas of what is private, what part of our physical existence is performance and the judgments that are put on our bodies. Thinking about that idea of how the gravity of water can allow you to feel weightless, floating in your own orb. Lyrically there are stories about sirens such as Undine and fighting like water in a world full of fire. It's really quite an exhilarating mix of people involved for this project! [Melb Recital] What’s it been like working with visual artists on a performance piece like this? How does the collaboration process differ between audio and visual mediums? [Ella] Melbourne Recital Centre is so visual in itself which makes it interesting to see how that will also interact with what we are making. Whether musically or visually, it's always fascinating to see how different people interpret one concept and think of things I would not have. Most of this work has been done independently and then stitched together to fit the greater whole. [Melb Recital] Lastly, if you had to describe LRW in a word or phrase, what would you say? [Ella] What is strong, is soft and fluid. You can catch Like Running Water at Melbourne Recital Centre on Friday 20 October performed live by Ella Thompson, Sui Zhen and Clio Renner accompanied by local classical musicians on strings and woodwinds and live visuals made by Honey Long and Prue Stent.